When we return from a vacation and people ask, “Did you have a good time? Was it relaxing?” I try my hardest not to laugh out loud. Of course it wasn’t relaxing! We have a five-year-old and two three-year-olds! However, when people recently asked me, I was able to answer honestly, “Yes. It’s the closest thing to a real vacation we get.” And that’s why I love the Disney Cruise Line! There are a thousand reasons to love a Disney cruise: exceptional service, super kid-friendly, nice ships, good food, vegetarian-friendly, tons for kids to do, movies, shows, lectures, lots of opportunities to meet characters, and just time to sit and watch the waves go by. 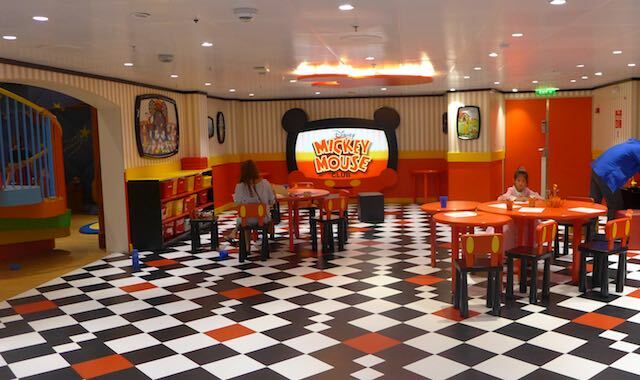 But in addition to all of those, here are fifteen lesser-known tips that can help you get the most from your Disney cruise. Note that we did the westbound transatlantic, so some of these tips might not apply for all cruises. 1. Get to the ship early on departure day. There will be characters in the port available for photos, but only for a few hours. We arrived just before 1:00pm, and were told they were done for the day already! Apparently they were only there from 11:00am-1:00pm. It’s not a deal-breaker, and there are more than enough opportunities to meet everyone, but it’s a great way to start off the vacation! And it gives the kids something fun to talk about while you wait in very long lines to sign in. 2. Before you arrive at the port, put your Disney luggage tags on any and every piece of luggage you don’t want to carry yourself. For us this included three car seats and even some airline carry-ons. Just take what you want to/can carry, bearing in mind it will be a few hours before you see your luggage again and you might also be carrying a tired/cranky child (or two). If you brought it, definitely use the stroller. And baby/toddler carriers are useful, too. 3. Referencing back to the long lines during sign-in, definitely bring some snacks for the kids and whatever distraction methods you use. The line moves, and Disney is known for efficiency, but it’s no easy feat to get 2,000+ people signed in and registered. 4. As soon as you can, whether before the cruise (although I’ve never had luck with that), or immediately upon arriving, go sign up for things! Get in line at Guest Services and sign up for a character breakfast, special photo ops (princesses, Frozen, etc. ), maybe even a princess tea party. Ask what activities are free. On our first trip, my then-three-year-old and I attended a very nice princess tea party where all the princesses flitted about while we sipped on tea and juice and ate teeny tiny sandwiches and cookies. This time, however, they were charging over $100 per person for the princess tea party. I guess it offered more than just a plate of tiny petit fours. But for a family of five, it was cost-prohibitive, so we opted out of that one. But I did ask for anything else that was free. I was told that some of the activities were booked, but they “waitlisted” us. If that happens to you, definitely follow up the next day, and the day after. Disney is great about accommodating people, but you might need to gently remind them that you’re waiting. 5. One fabulous tip our travel agent gave us, was to order daily room service so hot coffee would be delivered to the room every morning. The coffee addict in our family (not me), was very appreciative of this. The other alternative is to just pop up to Deck 9 where there is coffee (and tea, soda, water) available 24/7, but room service is so decadent (and free). And while we’re talking about room service, you can also order Mickey ice cream delivered to your room (again FREE)! Now I’m not suggesting you set up a daily order, although you could. But having a treat delivered to your room is always fun. 6. Ask your room steward for character sheets for the kids. Sometimes they’re already set up. But if not, ask. We got “Frozen” and “Good Dinosaur” sets to the great amusement of everyone. None for adults, unfortunately. 7. The Oceaneer’s Club and Lab (the kids’ club) offers lunch and dinner daily. If you have kids with special needs, ask ahead what’s on the menu for that day. We didn’t partake of it as much as we should have, but two of the nights we let everyone play and eat there, while my husband and I had nice calm quiet dinners. It was the height of luxury for us! We even went to the piano bar (on the adult side of the ship I rarely saw) for drinks after. 8. One fabulous perk is the ability to borrow adapters, or diaper Genies (for your room), or even strollers! Both cruises we’ve been able to borrow strollers, for FREE, for the entire cruise. We even took them off-ship to explore St. Cadiz. 9. 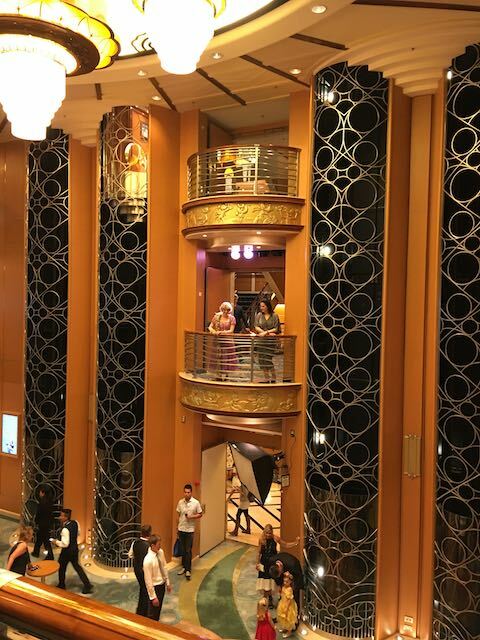 Maybe this makes me sound crazy, but one of my favorite tips was learning that there’s “secret” stroller parking on Deck 6, mid-ship (behind the double doors between the elevators). It was so nice to get the strollers out of our tub/shower! So, whether you’re borrowing the ship’s stroller, or brought your own, park it here instead of losing your precious shower space. 10. The Oceaneer’s Club and Lab are for kids 3-12 years old. It’s completely free, has tons of different things for kids to do, regularly has characters coming through and they are open from 9:00am until midnight on some nights! They are also open during port days. So my husband and I ended up taking turns leaving the boat on port days and letting the kids play in the club. For kids under three years old, they have the Small World Nursery. This was a godsend on our first cruise, with two 15-month-olds. They do charge by the hour, but it was worth it. Note, for those of you with almost-potty-trained three-year-olds (or not-remotely-potty-trained three-year-olds), The Oceaneer’s Club and Lab have a strict no-diapers policy. However, if you have someone who is on the cusp of being fully trained, have no fear, the staff is amazingly patient and kind. In truth, our little guy was no where near being potty-trained (it’s on my list of things to do (ugh) after Christmas). But we just put him in his new Mickey underpants and sent him in. When, and if, he had an accident, the staff would text us. They also asked that we check on him every 30-45 minutes or so, and we did. I was seriously hoping that I could claim that Mickey potty-trained my son… but, well, I can’t. 11. As I mentioned in the beginning, the staff are great about accommodating any food needs (vegetarian, vegan, gluten-free, etc.) that you may have. But in addition, they can also prepare daily purees for your little one! So, no need to bring 80-100 food pouches or clanking baby food jars on board with you. Just ask your fabulous waitstaff and arrange for it daily. Our kids were beyond this on our first cruise but our team learned we loved bananas so they promptly appeared at every dinner and we stashed them in the room for the kids. On our second cruise, we found ourselves swimming in daily raspberries and strawberries. Decadent! 12. For several nights, maybe even most, they offer different photography portrait options. For families or big groups traveling together, it’s a great way to memorialize the trip. For those of you, like us, who have squirmy wiggly kids, I would definitely recommend taking advantage of the amazing skill, talent and patience of the Shutters photographers. We ended up doing it several times, just to make sure we got a good shot (too many with one smiling and two not, or one smiling, one with eyes closed, and the third looking bored, etc.). And you only pay for the photos you want ($15-$20 each, or get a package). 13. No surprise, if you have a birthday or anniversary on the ship, let everyone know. There will be singing waitstaff for all to enjoy. But in addition, if your little one just happens to lose a tooth on board, swing by Guest Services and ask if they have any of these super fun buttons to share. 14. Upon arrival in your destination port, pre-arrange for a private car to pick you up, or arrange one through Disney. We ended up standing in a block-long taxi queue with three squirmy kids, all our luggage, right on Riverside Drive in Manhattan. It was a very tense and stressful 90-minute wait that we could have avoided. 15. Finally, I cannot stress enough the benefit and ease of using a travel agent well-versed in the Disney experience. 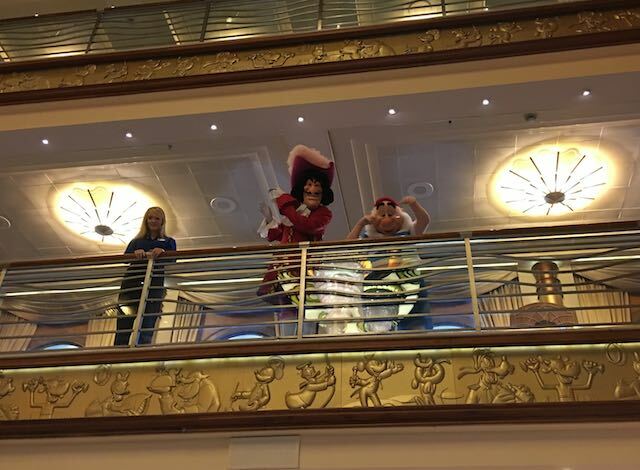 We have used Cruise Planners (www.premiercruiseplanners.com) for two Disney cruises and one trip to Disney World and each time they have been on the ball and helpful beyond measure. In addition, after putting down the deposit with them they continue to watch for any fare drops and can save you money up until the day you leave! More money for your “cruise jar” (because you will want to go again, and again, and again).